You May Not Be Blake Lively, But You Can Still Wear Chiffon. I may not walk down the runway or go to such lavish events that I need a chiffon gown like Blake lively, but I can still wear chiffon if I want to.. right? Oh yes I can and you can to. Here's 3 ways that you can rock chiffon in your everyday! If you still want to DRESS it up, there some great summer beauties out there just waiting to be paired with a structured jacket and girly heels. 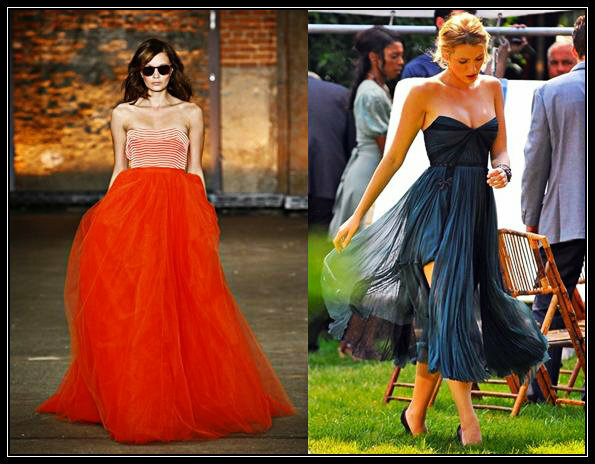 The chiffon skirt has been the trend this year. I can see why. It's fun, frilly and not a full dress commitment. I personally would have paired converse with it. But that's me. The chiffon tank. I haven't come across a tank in my shopping excursions, but now I want one. 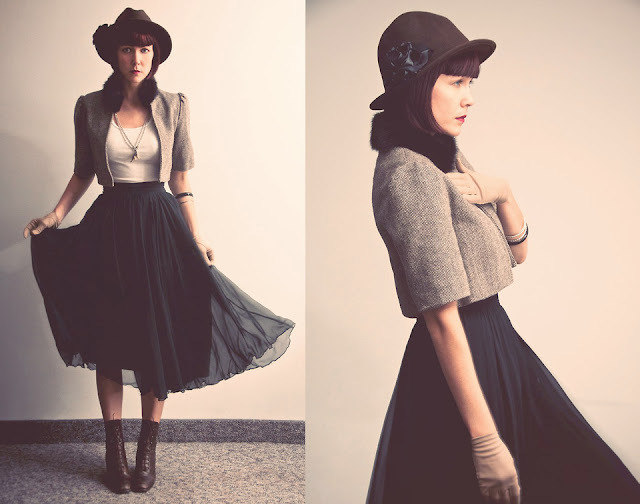 This can go from hot summer days to cool winter afternoons - just add a coat. Don’t forget to have a little fun with your chiffon. How awesome is this chiffon sleeveless top. I think people would start to worry if I wore this every day, but I don’t think I would be able to help myself. The moral to this blog post. Just because a certain looks is worn a certain way doesn’t mean that it’s the only way. In other words you don’t have to be going to a film premiere to rock chiffon.